Morning rush hour on Simcoe Street. I think that's steam, not smoke, coming out of the smokestack in the background. 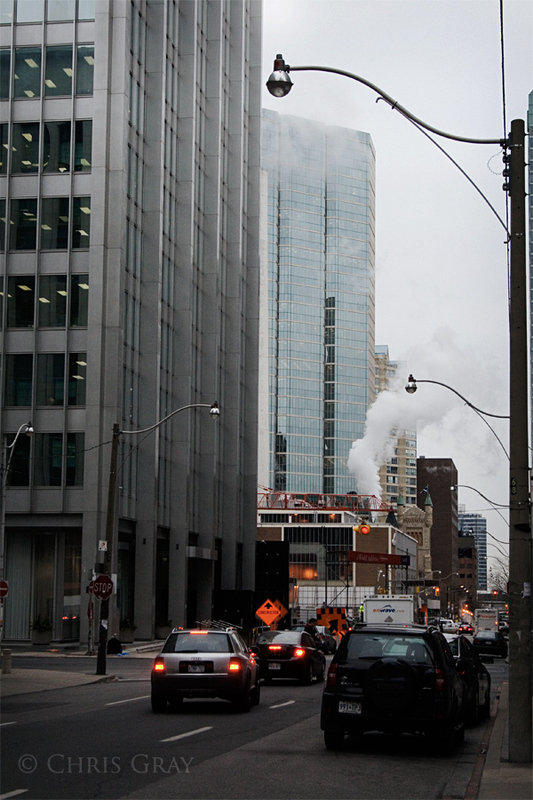 A large proportion of the downtown buildings are actually heated by steam, according to the information found here. New neighbourhood, new things to see. Of course, it'll be easier to see them when I'm not going to work in the dark, and coming home in the dark. Oh - and can it be warm again? I find that it's harder to focus on things around you when it's so cold that you can feel your nose hairs freezing together every time you breathe in. 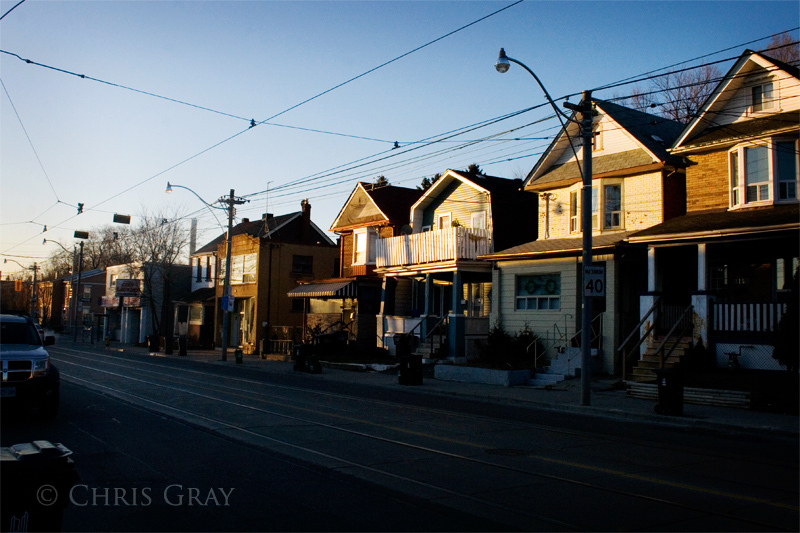 Still, the houses on Coxwell look warm and cozy, especially when the sun hits them in the morning. I imagine that it was quite cold in here in the winter. 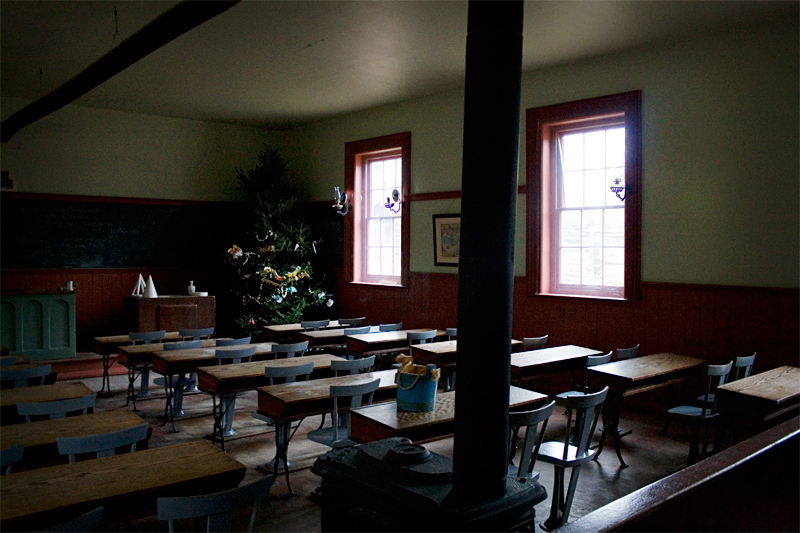 The stove looked like it would warm the room a fair bit, but that meant that the staff (and students) had to keep it stocked with coal or wood every day. The classroom would be very cold in the mornings, no doubt, too. 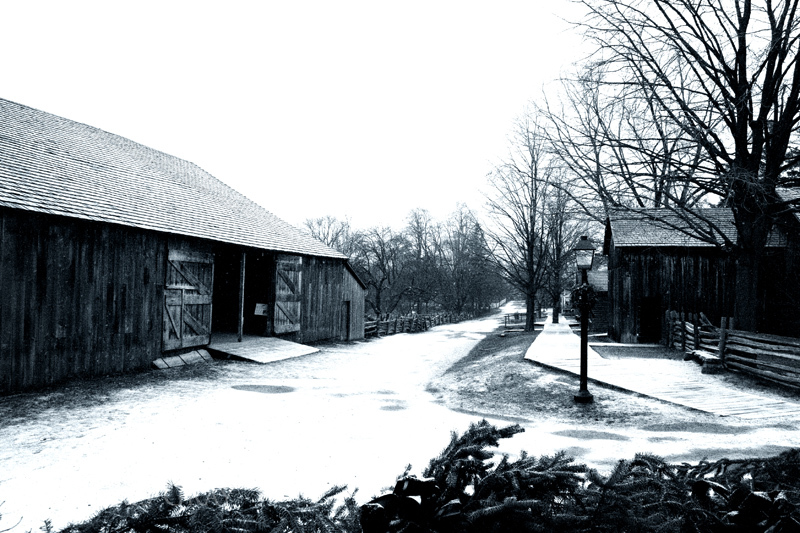 It started to snow, very lightly, while we were at Black Creek. It made me think about how people would have had to deal with the snow and mud in those days. No paved roads, no cobblestone, just packed dirt and mud. But it looks pretty here, doesn't it? 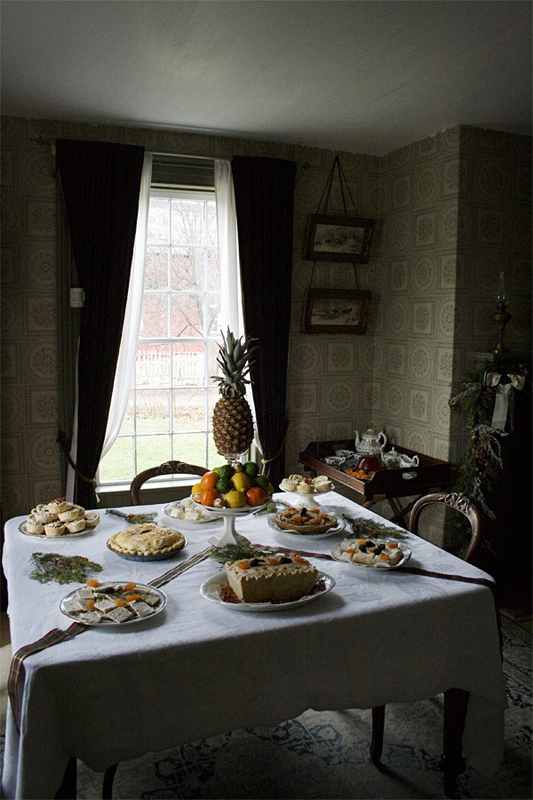 I hope you all had a wonderful holiday season, and enjoyed good food, good friends and family. A new year has begun, and I`m looking forward to seeing new things, taking more pictures, and exploring new places.